Prevent the "Where's my order?" call with our real-time delivery management module connected to our Uber-like driver app. Routing catering orders can be a confusing puzzle to solve each day, with multiple orders of multiple sizes going to multiple addresses. It’s a half-art, half-science daily function. With our Delivery Routing Drag & Drop Mapping Interface, you see each and every order for the day. Create one or multiple routes with one or more delivery stops. Quickly assign your drivers and your hard work is made quick and easy. 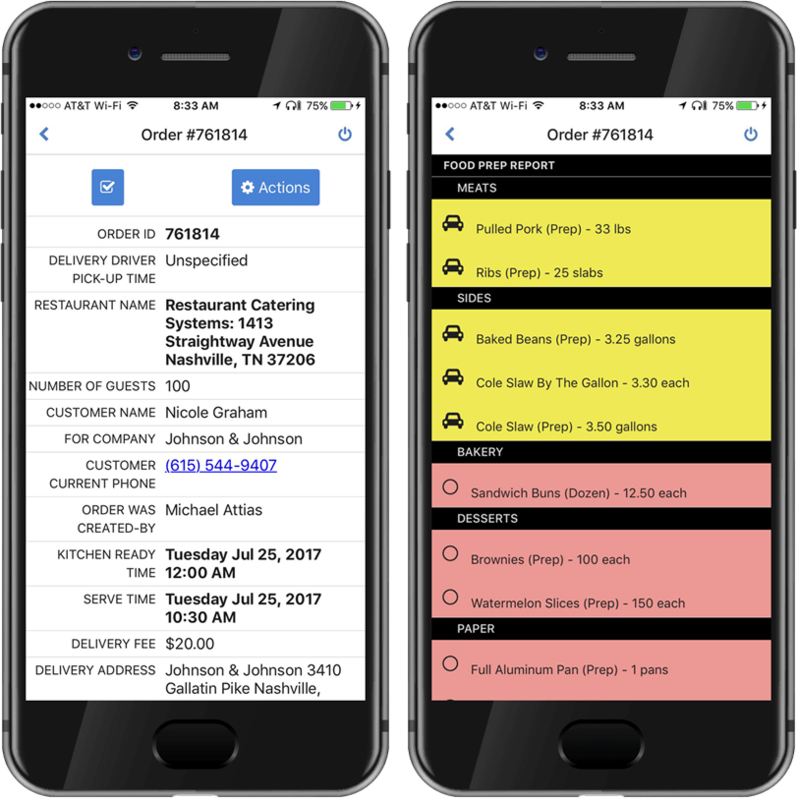 Your drivers log into their smartphones to see their daily orders, where complete order details and click-to-call client phone number is at their fingertips. 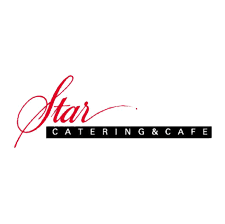 Leaving anything off a catering order starts a chain of events that wreaks havoc on the rest of the day for you and your catering client. With the built-in catering load out list, your driver quickly checks off all items as they are loaded into the vehicle, ensuring nothing is forgotten. 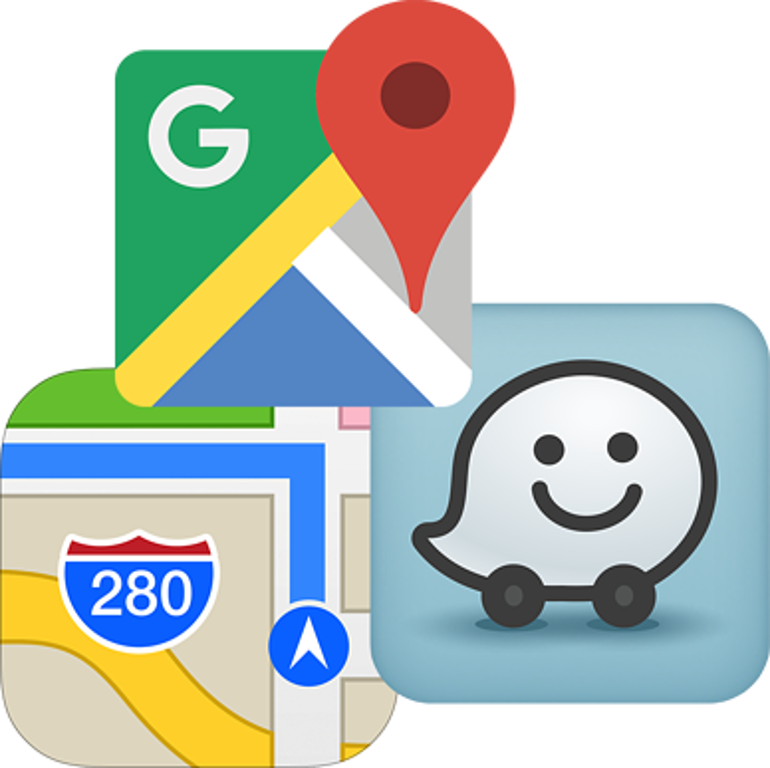 Thanks to built-in links to mapping apps like Google Maps, Apple Maps and Waze, your drivers are given the most direct route to get the catering order to your clients. Traffic jams, accidents, construction delays and speed traps can cause excess delays for your drivers. Today’s intelligent mapping apps ensure your clients are never waiting on their orders. 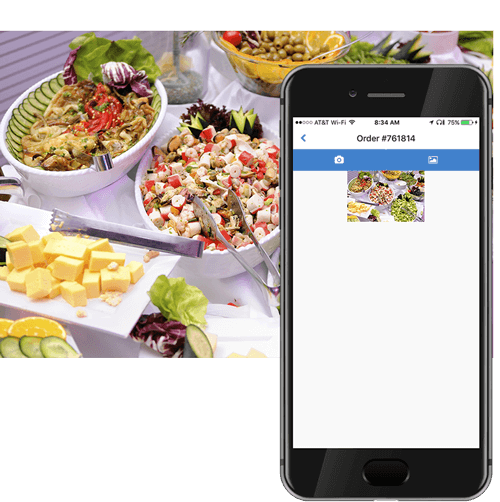 Our Driver Delivery Management App allows taking of one or multiple pictures of the set-up catering. These images are uploaded into your software and tied to the respective catering order ticket. From a training perspective, you can inspect a new driver’s set-up to make sure your standards are being met. Pictures of your catering set-up gives you physical proof should your client contest how their order was set up. You also have proof to how much food was delivered should that come into question. Though the odds are slim you’ll need these pictures for your clients, it is always best practice to have systems in place that offer you peace of mind. That is a call your catering clients never want to make, and you never want to receive. 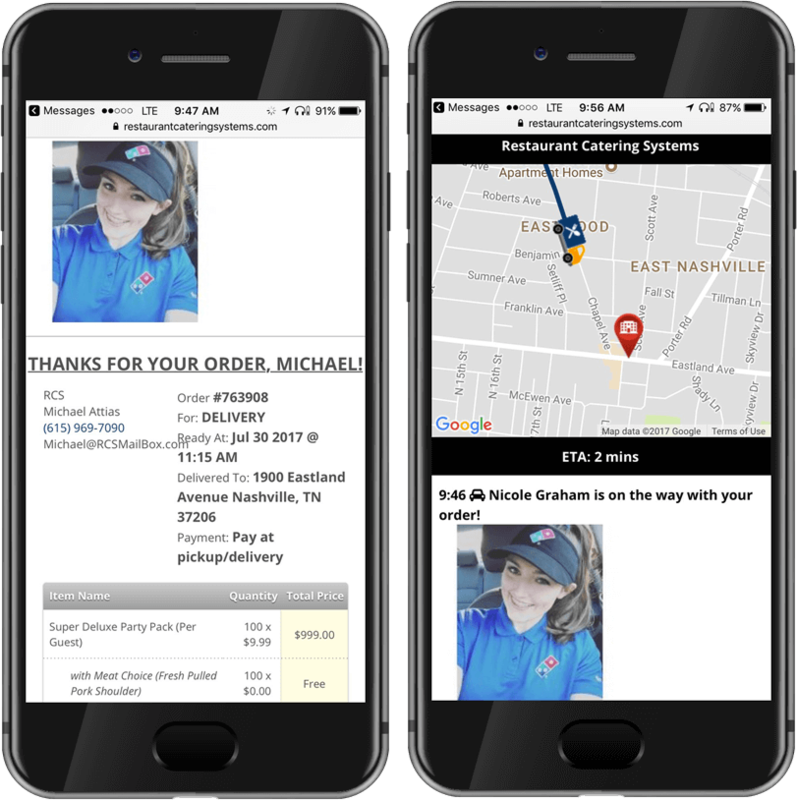 Thanks to the ability to sync our delivery managment software with the driver's app, your catering clients will be able to track from the second a driver is on the way with their order. They receive a picture of the driver and a complete breakdown of their order. 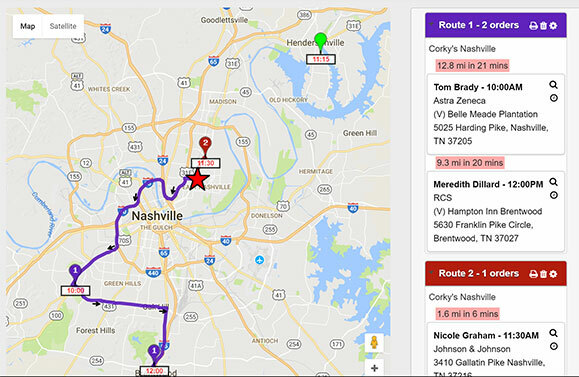 A map is sent with a live feed of exactly where the driver is with their order and approximate time of delivery. Once at the client’s site, they are notified your driver has arrived with the order, ensuring driver and client are on the lookout for each other. Help your clients look like heroes with this powerful function. Eliminate messy paperwork! No more collecting client signatures on crumpled catering tickets, filing them and praying you are never asked to find them. 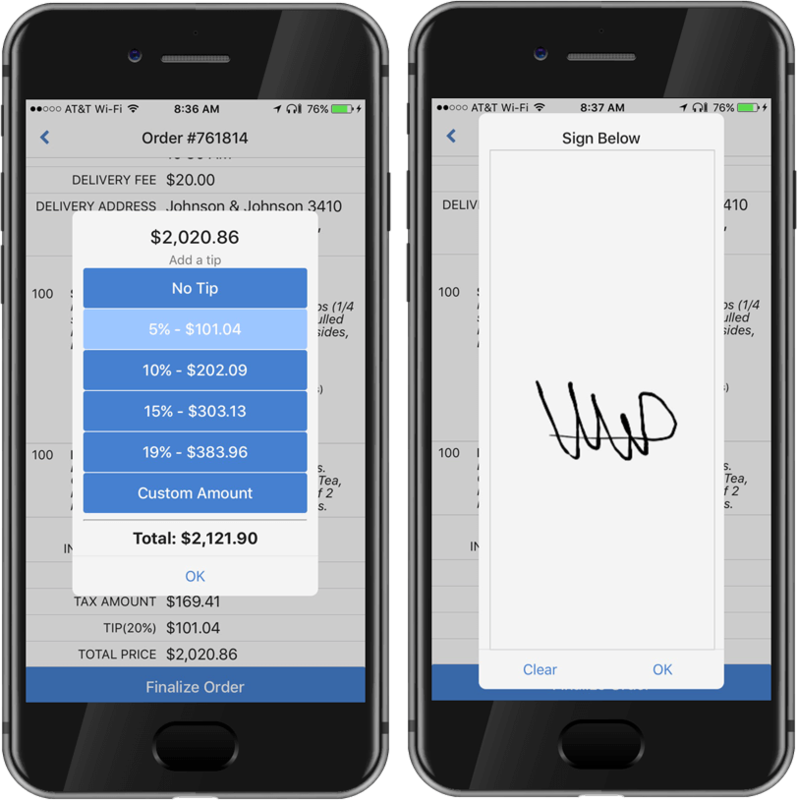 With our Driver Delivery Management App, the phone is handed to the client to approve the ticket, leave a tip (optional) and capture a signature. Your driver can email a copy of the ticket and/or invoice from their phone, and complete documentation is stored under the client's CRM record in our catering software. "We average 3 to 4 deliveries a day and this feature by itself is making more than what we pay for the cost of software (sometimes in one day)."